“Pharmacists are your medicines expert ” is the theme of this year’s World Pharmacists Day. video that dessipates awareness about Pharmacy Profession. 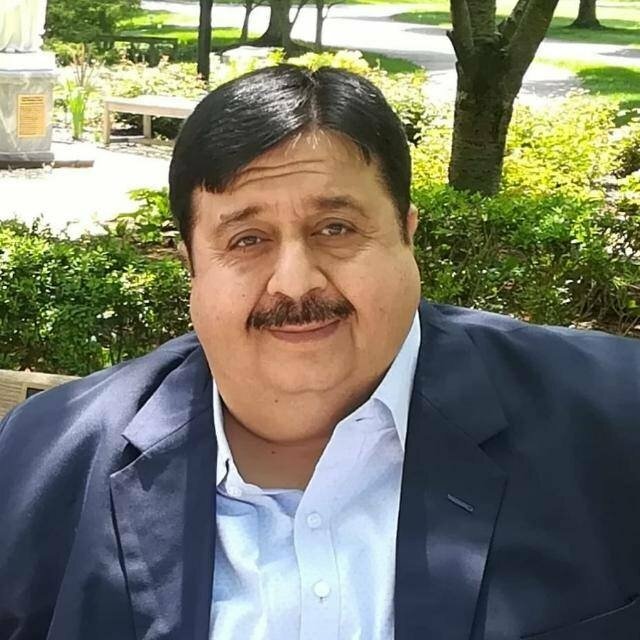 Message from Dr B Suresh, President , Pharmacy Council of India on this special day !!!! This year it will be 70 years of the passing of the Act and hence the Platinum Jubilee of our profession in India. but also that of the world. We need to feel proud of ourselves as Pharmacists who have lead from the front in realising this stature . A country that can manufacture quality medicines at affordable costs. A country of one million Pharmacists! A country where there are more than 2000 Pharmacy colleges, 500000 students and 50000 teachers! A country where there more 20,000 pharmaceutical industries and 600000 pharmacies (Drug Stores). A country that has one of the most progressive regulatory structure conducive for the growth of Pharmaceutical Industry. A country that is driving research to discover new molecules, develop new formulations and manufacture active pharmaceutical ingredients and yet do the ‘Jugad’ of maintaining lowest costs. However when it comes to the recognition of Pharmacists there is more that needs to be done. We still are a country where the pharmacy owners feel that you don’t need a pharmacist to dispense medicines! A country where self medication is predominant and the threats emerging out of drug induced diseases. Pharmacists are under-utilised health resource and the country needs to be made aware of the same. Pharmacists Day, as is being observed by the Pharmacy council of India nationally, is a step in this direction. I urge all the Pharmacists of the nation that by unitedly showcasing the role played by us, the Pharmacists, in the health care delivery of the country we can bring about the awareness amongst all stakeholders. 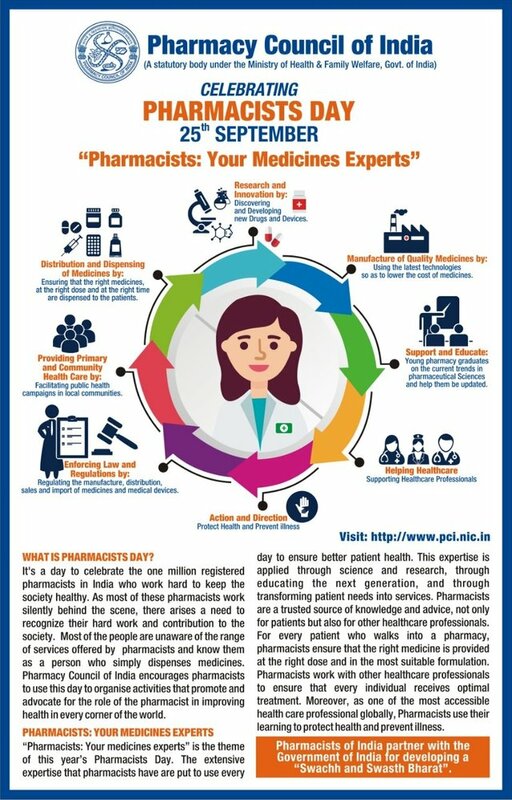 We need to do this not only on the 25th September - the Pharmacists Day, but everyday, playing our own unique role by showing that ‘Pharmacists: Are your Medicines expert‘ and we are there to ensure that every patient gets the right medicine, at the right dose and at the right time. To our health professional colleagues we need to reassure them that we are there to support them in every way possible in advancing the health care of the country. Let’s all work together and make this profession a glorious one ! I greet you all on the Pharmacists Day. The millions of Pharmacist in the Nation & beyond always look upon you for your guidance & wish you all the goodness & offer our respects on this Pharmacist Day..!!! !